I cleanse my pendulums with florida water,holy water,and smoke them out with sage to remove negative energy. I place them in my bible or in box with my tarot cards. Those are very nice ways to work. 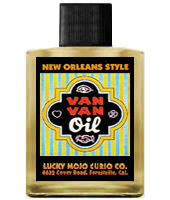 As i noted earlier, i like Van Van oil to rub them. This is a traditional amulet and charm anointing oil. I like to mix a small amount of Spirit Guide Oil, or Psychic Vision Oil, with the Van Van Oil for rubbing my pendulums and other divination tools. I purchased a Queen Elizabeth root some time ago. At the time, I cleansed it with a bit of whiskey (since I didn't have Van Van oil on hand, though I do now). I wore it close to my skin for a week and then placed it on my ancestral altar since I intended to use it as a pendulum for working with my ancestors. Today I dressed the root with a bit of Spirit Guide oil (one of the special blend oils from LM which I received this week). When I suspended the root from a red string and asked it to show me a "no" answer, it twirled first in one direction several times, then the other direction...it did this many times in a row, first one way and then the other, in time to the beat of the song that was playing. I had my elbow on the table, so I "think" I was keeping myself steady. I frequently see images in things, often without looking for them. When I first looked at the root after dressing it with oil, I seemed to see someone with her arms crossed. After the "dances" though, the shadows and curves seemed to change to someone extending one hand. I'm pretty new to hoodoo. My first thought was that the pendulum was wanting to work with me. But is it possible there is another purpose for this root that is being hinted at (through the visions)? Should I cleanse it with Van Van oil and "start over" with keeping it close to me? Please excuse my ignorance, but I only know how to use the whole root as a pendulum or in combination with a John the Conqueror root. When i work with a brand new pendulum, i train it -- i don't let it lead me a merry dance. I tell it, "this is my yes," and force it that way, followed by, "this is my no," and force it the other way. Then i ask it if it is a good little pendulum and wait for a "yes." If i get one, i ask it, "are you willing o work for me?" If i get another yes, then we go to work. Thank you Miss Cat! I will have another go with the root. I have been working with a pendulum for a several months and still feel new to it. When working with it I use it over a bible. I have noticed a slight pull on the pendulum when I go move it away from the bible. I have tested it on all sides of the bible and I feel it the most at the bottom corners, esp the right side. I question if its the pendulum not wanting to move away from the bible or if it's just me. Maybe from how I am sitting or my right arm at certain points. I have moved to different spots to work and change my position and it still happens. The pendulum I bought from LM about 6mths ago and the bible I picked out but my Grandmother paid for it, so I has always considered it as a gift from her. Anybody have this happen to them? My feeling is that somewhere, in the Bible, there is a clear message meant for you. And you haven't found it yet. It is somewhere on the bottom right of a page. What page? No clue. You have some work to find out where. Now, this is just my feeling. Other root workers may have other valuable insight into this. I've never worked with a pendulum before. The information on this thread is very helpful, and I will be ordering the book (Pendulum Magic for Beginners) that Ms. Cat mentioned as well. Here's what's funny: I only -just- started thinking about working with a pendulum today -- probably either a Queen Elizabeth root or a jack ball -- and when I pulled up the internet the Google doodle was of Foucalt's pendulum! Turns out it's Foucalt's birthday. Interesting timing. I saw that too. FUN! Jean-Marie: My wife and I both use Queen Elizabeth Roots as pendulums and we just love them. There is much more of a connection with the root as the plumb bob and she is really happy to work with us in regards to work that is appropriate to her. Best of luck on your pendulum adventures! Thanks! I like the idea of working with Queen Elizabeth root as I have a closer affinity with roots than I do with crystals for some reason. I think it's easier for me to connect with the spirit of a plant than that of a stone. There's something I was thinking about experimenting around with for a pendulum: I have a spherical, hinged necklace that opens up like a little box. It hangs on a piece of artificial sinew. I was thinking about loading it with some Queen Elizabeth Root powder and a piece of parchment with a sigil or seal on it, then sealing it closed and dressing it with Van Van oil, and see if it works as a pendulum. I know the powdered root won't have the same effect as a whole root, but it might be nice to turn an otherwise normal piece of jewelry into a working pendulum that I could have on me at all times without drawing undue attention to it... thoughts? Jean-Marie: I think that is a wonderful idea. I use a whole root, but your idea of a charmed piece of jewelery as a powerful pendulum sounds pretty wonderful. Keep us informed of your progress with it. I love Lucky Mojo's powdered Queen Elizabeth Root. OK... So I have been dabbling with witchcraft since I was a child, then Hoodoo recently came into my life and of course I find it much more exciting and fun! It is more like me as it is multi-cultural and multi-religious! Last week I went to a Spiritual Convention and got myself a pendulum, now I have never used them before, but straight away I felt a strong connection with it. Aside the fact that it was the only one that answered yes when I asked: Are you MY pendulum? Has anyone experienced such thing with their pendulum? A very chatty one like me I guess... I'm really curious... I always was a non-believer and thought most people were swinging it and now... I'm reading full sentences of mine! Thanx for help and comments! Sounds like you're a natural born communicator! That is absolutely incredible! You've got hidden talents that are slowly being disclosed to you! Maybe you were born to be a psychic reader (and never knew it). berlingreen: I have had great success with my various pendulums, however I cannot say I have ever had one tell me that it loved me. Perhaps you are being guided by a deceased loved one. So I have been working on my pendulum and the strangest thing happend. I was told I have 15 spirits. 10 good 5 bad, now one of the bad one came in contact with me (i knew he was bad because he could not point at my bible) then Loik said goodbye, he said his work had disappointed me and he was ashamed and this morning a new spirit is with me. His name is James. He says Cosac, the bad spirit, had to take Loic away because Loic was not to be trusted, although he could point at the bible. I'm going to work more on this as in fact I am not scared by the spirits contacting me. They are actually quite helpful. Its very exciting because they have no problem spelling sentences for me, things that I would never say myself! A couple of words I had to look up because they were spelt in ancient khabala spellings. CONGRATLATIONS on your success! WOW! I really admire you!! Many thanx for your wonderful support! I am sorry, but I lost you when you said Expedite (and everything after that). Could you repeat this for me, please. AS I don't understand the question either. And, am so very happy that you're taking such an interest in Hoodoo!! Wonderful news!! I amasking St Expedite for a particular job I saw advertised, but the job was taken down and although they have my CV I received no call no email... I gave him until the 10 October 2013. I precised my gifts to come, the company where they are located and the job title... But when I asked him to bring my ex back he failed me... So I am a bit worried St Expedite is not my fan, which is weird because I am very efficient myself and very quick in response. There are many many factors that will influence a spell (or petition) to either work or not work. And the reasons are too long and lengthy to post (however, you could browse this forum and see what other posters have contributed). Now that I understand your last post (thanks for clarifying!! ), you stated that you have asked since Saturday. The job had already been taken. You may have asked too late. Another thing I am seeing is that you're asking for too many things at one time from him. You may want to try and browse the forum to see about whom to pray for with reconciliation matters. What frustrates me at this point is that I am getting soooooooo many signs u would not believe! Daily for a month now, maybe almost two! But no movement... And when I say daily I mean not once a day but a few times a day... Today I was hit at the shop by the first ever flowers he ever got me, it was a food shop... Now I wouldnt mind if signs stopped hitting me physically but yes his name, kilts, words he uses, all these signs are right in my face and i swear i do not look for them... I like the idea of lighting a candle for myself, actually I am working on a spell to do on myself this Venus Full Moon. Its a love box, I am putting loads of items that represent love, serenity, commitment, balance... A petition with the qualities of my ideal mate... If all fails this cannot hurt Its a very positive box, nothing related to the ex, just about me. I shall start an altar around this box with candles, offerings, Im gonna put a st valentine picture in too (any psalm recommendation? ) I'm also planning, ironically enough, a tranquility spell on myself... I guess its along the lines of what you are saying I also read that Miss Cat recommends to do the spells yourself if you can rather than have candles lit for you as it is more personal Any thoughts? I agree with Miss cat. She is the expert, she is my teacher, she is THE master. But....I think she meant that if you are sitting on a DIRECT choice (which you are not....you are awaiting a 6-week shipment). Miss cat also suggests "reinforcement spells". So, it's up to you! As far as your spell plans, they sound WONDERFUL!!! Congrats! And I always TRUST signs. ALWAYS!! If you are seeing signs, but no movement, The spell work done could have failed, and you can try it again, or you try something else, or do a reading and trying to see why it failed. You could also wait longer and see if maybe the lack of the appearance of movement was something going on underneath the surface of things, and he will return to you later, perhaps within the next 3 months. Also sometimes movement takes your personal action. If you are trying to get someone back, have you attempted contact with them? A phone call, a letter, a text message on a cell phone? Nothing huge just a simple hello kind of contact, because maybe they are feeling things for you, but are also anxious or afraid of coming back and are waiting for you to make the first step, as a sign of forgiveness or interest. Doing a spell for self love I think is always a good idea. I recommend adding some kind of dry sweetener (sugar) to help being sweeter to yourself. It's not traditional, but I have found it useful for myself. I mean... What more can I try... And those bleemin signs all around... Thats why I amso confused... Should I hold the spells back for a bit or sprinkle somemore? any thoughts? berlingreen, What I am picking up here is doubt. You have posted about this situation in several different areas of the forums and what it sounds like is that you are not trusting the process. All of the spell work that you describe sounds really great, smartly planned out, and you are seeing signs. What might be happening is you are becoming obsessed with this situation. Too much fussing is not good magic. I read that you are going to get a reading, my opinion is this is exactly what you need to do. Stop fussing with your spells and let them do their work. Get a reading and see what might be happening below the surface. Try and relax and let it go a bit. Miss Phoenix, you are almost right... I doubt myself... Always... And this is how it came about in my head to maybe take these 6 week break let it happen and stop "obsessing" ... Know that I do everything like that... I work my hardest to get results, I was a good student, I research everything... When I started my photography business I started doing all the cards and all and obsessing every day over it... Now to remedy to not over thinking t he spell I am researching a new subject every day and only myself to this, one day is saints, one day herbs ... no spells for now... Trying to put all those good advices to practice... But being a taurus I am hard to convince to do something I may not be inclined to do naturally... i.e RELAX! Anyone have any advice on how to use a pendulum properly? How do you get accurate answers from it? When it favors one side over the other, I'm not sure if I'm just imagining it. What I do to work with my pendulum is I hold it so it's dangling and then I state out loud, "Show me a yes answer". Then wait for it to swing and move. Whatever direction or way it moves is your "yes" answer. Do the same for finding out the "no" direction. How does one recharge a pendulum? I forgot to let mine sit in the sun on the full moon days, and I asked it and it says it needs to be recharged. I already let it soak up the sun, and dabbed a little Van Van oil on him, but he says that he still hasn't been recharged yet. What should I do? After I have cleansed mine I carry it with me to sync with me. The same way I do for a new one. Thank you for your reply. Is it okay if I don't carry next to my skin? That's very impractical for me since a pin can easily come undone from my underwear, and because I don't wear a bra. When I carry it with me, I tend to actually carry it in my pocket so I can touch it a lot. Never thought to shove it in my bra but I suppose that is as good as place as any for it. I like to touch it so I know it and it knows me. Feel it's uniqueness and then once I am comfortable will ask it the 'show me' questions. That is just how I do it. Thank you my sweet St-Anthony! I cannot thank you enough! Sometimes I found with the pendulum that it can be influenced without even looking at it. if I feel very strongly about something or am fearful it can affect the reading it gives, once I look at it, it is usually confirming it the way I thought. So for example, if I ask a question about Dear One and myself I never use a pendulum. Never. As I am too invested in the answers and depending on my mood it will change. So things like that may affect how your pendulum responds even if you do not look at it. I would just keep practicing with the pendulum. Try asking questions of other people that they DO know the answer to to see if you are in tune with your piece. This will give you lots of practice and link your pendulum to you. hi my pendulum vibrates before it answers me then i feel it pull to ether yes or know it never lies to me because i told (Micheal)ya i gave him a name after st.Micheal my fave :)it is made of opalite to tell me the truth no mater how much i want him to say yes or no as in my subconscious want's him to answer to tell me honestly so he tells me even when it's not the answer i wanted and that's good.but back to the vibrating chain and the pulling dose any one else's do that to? Yes, that happens. Spirit is telling you that they are in complete control of the answer. Greetings and salutations! I've recently begun using a necklace I've been wearing for months as a pendulum. I do intend to purchase an actual pendulum, but this has been working great, I suppose mostly because it's been on my person. I had started to use it because I read an account of a young lady coupling it with her spirit board. I just wanted to say that it's been very beneficial reading through the posts on here. thank you i'm also wanting a sugilite one but i would have to make one my self .i use van van and holy water to clean him and i ask god to keep him clean,honest,and i also use fwp to keep the nasty' s away. I have a labradorite pendulum. And I broke the tip off of it. Do you think that it will be ok if I glue it back on? Oh, geez. I'm so sorry. Geez, that's a good question. I would think that it could disrupt the balance of the pendulum (the chemicals in the glue and the unnatural balance). Try it and see what happens. That's all I can recommend. BUT don't take anything seriously until you have absolute proof that it is working fine. I was thinking the same about the glue being unnatural. I'll work with it and post an update. I have been reading the forum and read about pendulums specifically because I am having a problem with mine. I simply cannot use it - my energies interfere WAY too much and I can make it move myself (with headaches afterwards). My question is - does anyone else have this problem or know someone who has and what other forms of divination worked for them besides pendulum? I would love to purchase divination tools from LM - but I can't logically buy each one if one is not suited for someone like me, who can control a pendulum. Does anyone who has trouble with pendulums, have success with other forms I can gravitate towards without trying each one? mamabird39 wrote: hi my pendulum vibrates before it answers me then i feel it pull to ether yes or know it never lies to me because i told (Micheal)ya i gave him a name after st.Micheal my fave :)it is made of opalite to tell me the truth no mater how much i want him to say yes or no as in my subconscious want's him to answer to tell me honestly so he tells me even when it's not the answer i wanted and that's good.but back to the vibrating chain and the pulling dose any one else's do that to? Hi mamabird, my pendulum bounces up and down when Im feeling really powerful! And I can feel it pulling toward yes as well. For no, it just stay in place but keeps bouncing to signify its a no. Also, mine sometimes changes what yes and no is - so annoying!! After I cleanse it and pray over it again, it goes back to normal.....too much interference with pendulums, is my opinion! I personally keep my eyes closed when asking questions. Then, when I open my eyes and see what the pendulum is ding, that is my final answer. Ill try that, thank you for the suggestion! I was mainly wanting to use the pendulum to get messages from my ancestors and spirits as my candles crackle a lot when burning. I know I have messages backed up, but I cant seem to get it out of the pendulum. Is there another way or something I can get from LM that can make it easier? Will tarot work for receiving them? Any help is appreciated! There are lots of ways to get messages from you ancestors. If you have some skill with tarot it's a great system. In working with ancestors I really like using bones. Lucky Mojo has a great starter set that works well for any kind of situation you want to ask about. I've used it for a while now and added pieces to it that I felt spoke to me. Both of which I have and are really excellent. I get from your other posts that you are natually gifted and intuitive, so the bones might work well for you. Best of luck. Getting reliable messages and opening the path of communication between you and your ancestors is very rewarding. Im so honored you answered Professor Ames! Ive never thought of throwing the bones, Ive only just learned about them and they at the very least seem like a solid alternative since I dont think I can manipulate the resulting toss configuration, only the interpretation. It definitely eliminates that variable, which I need. And I had NO IDEA they can be used to get messages as well....thank you - off to the bones thread it is!! I was gifted a pendulum about a week before Christmas, I asked it to show me yes/no and i thought it was a bit odd that the yes was counter-clockwise while the no was side-to side but i went with it. Recently the yes has changed to forward and back. Im not sure what to make of this. I always call that behavior: "Acclamation". I have a pendulum that I use special to do readings on a person's 7 different chakras to see if they are all running in balance by using a scale of 10-100 % on a diagram. Was just curious if anyone has their own system they use for something similar with the chakras or another creative use? I use a 4-way system of diagnosis: yes / no and maybe / i don't know. Plus a 5th response, "dead pendulum" (no movement). I do not use the chakras, although i know what they are. I have a separate pendulum that I use for the yes/no questions. 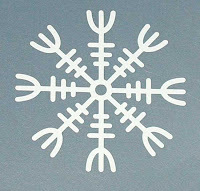 I either hold it above my wrist and have it show me what means yes/no, maybe, I don't know or there is also another diagram that a friend made that will do the same thing. When using it on the chakras I place one hand over the chakra and in the other hand I hold the pendulum over the diagram and use the swinging movement to determine the percentage of the chakra. By placing my one hand over the chakra it allows me to pick up that chakra's energy and feeds it to the pendulum. A friend taught me how to do this as a diagnostic tool to help with healing and it is pretty accurate. I just cleaned mine I used rose of Jericho water and passed it thru candle flames for energy but it said maybe about working for me . I never asked it which spell to do but that is a good idea I usually do as many as I know how to do to reinforce my effectiveness . So I do herbal spells and candle work a lot . Candle magic has turned out well for me . Since I am new to the forum I do healing pillows at a small store location and I also make healing soaps . So I know that if you desire a certain answer it effects the pendulum and that's what your most likely to get. So I decided to ask my mum to use the pendulum for me to answer some of my questions. Well I asked if my Target is a womanizer and it gave the answer yes. Well I know for a fact my Mum thinks he is and always said he was just trying to get his leg over or he probably sleeps around. Would this effect the answer even though she said she wasn't even concentrating on it? On a subconscious level because that's what she thinks he is? didnt you just answer your own question when you said you desired the answer so asked your mom but know she also feels this way about him. Well according to your logic then yes your moms response was the same. But it seems you also dont want to think this person is a womanizer. So rather then asking a person who knows him and you or an opinion ask a stranger to do it. Or rather go to AIRR and get a reading. You dont like the answer to the question you got so you are shopping around. To me that means regardless what answer you get you will justify it for the man. What I Should have asked is can a preconceived idea affect the answer? I have already asked my reader this question and how my work is going. Why I asked is because she was told by a friend of his and ours that he's a man's man, now she said that's when they like to get their leg over and tell their male friends. And that idea stuck and also she is cheesed off with him anyway because she knows he's with someone . But yes your right, I did sort of answer my own question! Also I don't go shopping around for answers, it was a one off just to see out of curiosity what response I'd get from her.